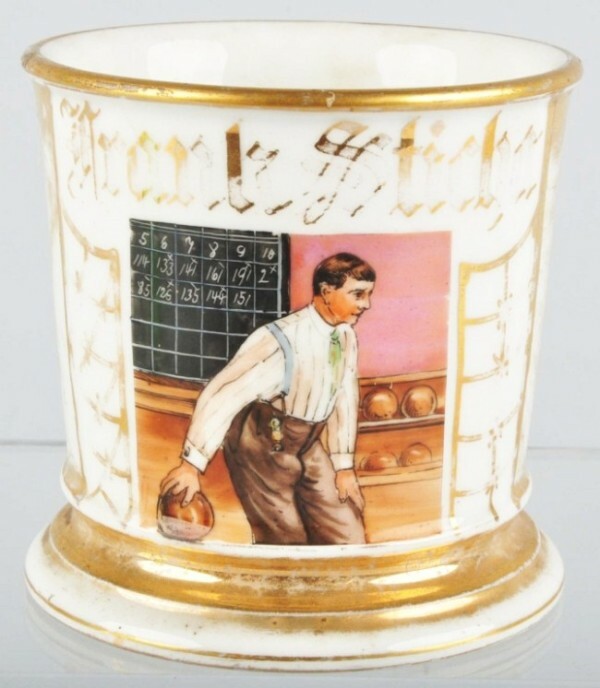 Marked “Frank Sticho” across top and stamped “Limoges T&V” under base. Fantastic detail and very rare. 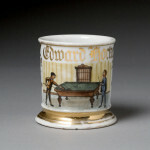 This very unique mug comes with the early cigarette trade card that the image was copied from. Some wear to gold wrap on back. Size: 3 – 5/8″ T. Condition: (Excellent Plus).